Ever wondered why there are thousands of varieties and options available when we talk about a mouse because the mouse is the most basic and important peripheral especially for gaming. There are tons of designs available with a huge range of a gaming mouse. We can't imagine our Gaming PC without the best gaming mouse. A few years back, who would have thought that there will be such advanced mice available with an extreme programmable facility and a very high FPS. Other than this, there are few basic features that you should look for like ergonomic design, grip, and gliding and it should be compatible for both hands. Because there is a huge variety available here in this list, we sort out 20 best gaming mouse that is available in the market from 10 bucks to 100's of dollars. Nowadays selecting a gaming mouse isn't that easy. 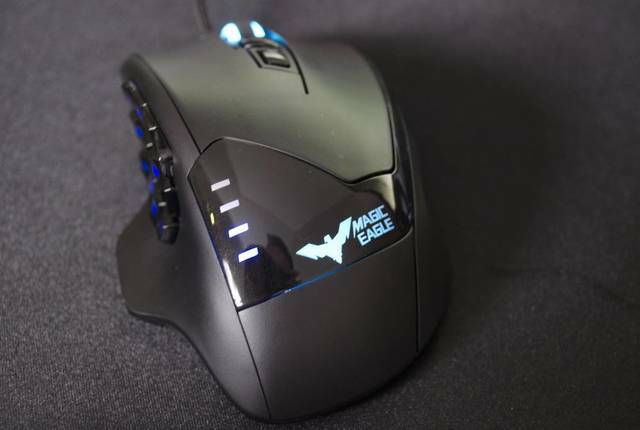 Companies like Corsair, Logitech, Razer has taken a gaming mouse to another level. Although the design and look are your choices, that does not make it the best gaming mouse. In this post, we'll provide you mouse with great and updated software, average to very high DPI options, up to 16 programmable buttons, LED lights, different kind of sensors, comfortable grip and at the end a very attractive design. You must know that buying an expensive thing doesn't mean that it is great. I have seen many expensive mice which are cheap and low grade. At the same time, there are few great mice available on a budget of 10-15 bucks too. So, let's jump into the ultimate guide which will surely help you for buying a great and affordable best gaming mouse. A company is known to every professional e-sport gamer, Steel Series Has been part of the gaming community for a long time now and has been manufacturing some quality products for years. The new Rival series is no less; The Steel Aeries Rival 700 is a total smasher as it contains a OLED display screen that has huge capabilities such as showing the user The game settings and also displaying custom GIFs that are specially made for the display.The Steel Series Rival 700 is a beast in the form of a mouse. The modular mouse is a perfect fit for any right handed gamer the game doesn't matter this mouse is a total banger. 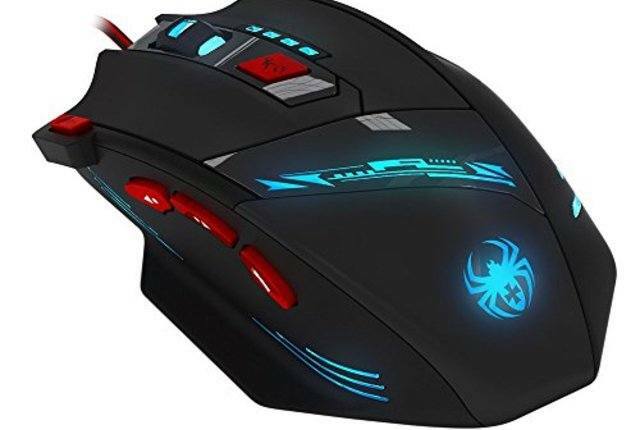 This mouse doesn't fail whether you are playing FPS, an RPG, or an MMO, as it is surrounded by 8,000 laser sensors, giving a high DPI of 16,000 on the optical sensor. Unfortunately, as much as everybody wanted the mouse doesn't have an ambidextrous design that might cause problems for the left-handed user. It consists of Industry standard RGB lightingThe design is very attractive and modern. You can easily customize the mouse according to you. Logitech is also one of the leading gaming products manufacturers which gives you some awesome products and guarantees the quality of the products. The G400 range of Logitech is a low budget impressive gaming mouse which has enough satisfying features. This mouse is not for those who want high-level performance. But if you have a low budget and want a good gaming mouse, then Logitech fulfills your need with this G400s series. The mouse does not have a very high DPI or many customizations but is a straight and simple gaming mouse. The design of the mouse feels attractive, and the shape of the mouse gives a good grip and control.The mouse consists a total number of 8 buttons which can be easily customized. You cannot expect more than ten buttons at this price. The DPI range of the mouse is from 200-4000 which may seem less but is good for an average gamer. The mouse does not have a laser sensor. Instead, it consists of an optical sensor which is average. The mouse has a dimension of 5.3 x 2.2 x 7.6 inches and weighs around 240 grams. There are not many impressive features like illumination or much customization, but you can try this if you want a quality gaming mouse at an affordable budget. The mouse is compatible with limited OS so make sure to twice-check before buying. 1. The design looks pretty good and provides a good gliding. 2. Has a streamlined shape which makes it is easy to grip. 3. A good low budget gaming mouse for low usage. 1. There are not many customizations available in this mouse. 2. The DPI is limited, and there is no illumination in the mouse. The special MMO and MOBA kill machine which shocked the users worldwide with its new innovative and revolutionary design. Corsair came into the gaming market and was brought to its knees, but it's now sudden and great comeback has proven many wrongs. They managed to create a huge arsenal and launched the best peripherals in the market that to back to back creating a solid ground and a huge supportive fan base. 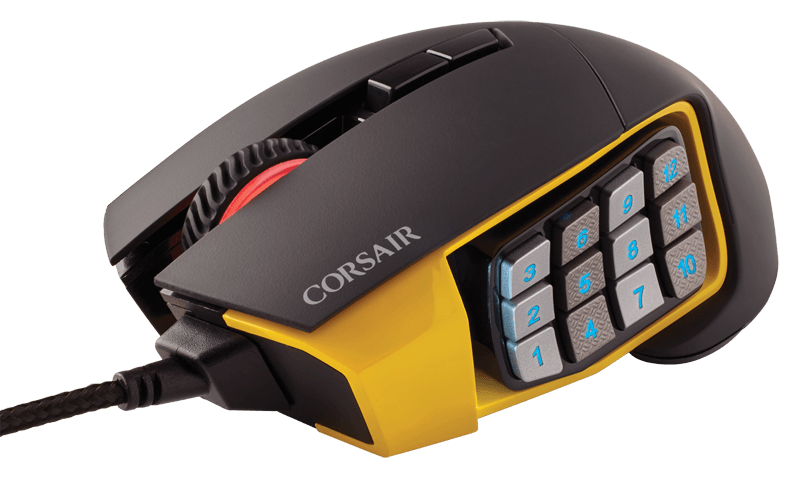 They have managed to wow us by launching their top killer Corsair Scimitar RGB. The mouse consists of 17 buttons, 12 of which are elegantly added on the left-hand side as part of its new design which guarantees as ultra fast response rate. Corsair used the best sensor available in the market, the magnificent Pixart ADNS 3988. This bad boy delivers a max DPI of 12,000 with the added option of adjusting it to ones need. The Corsair Utility Engine (CUE) software has a strong stand in terms of customization. The interface might take a little time to get to, but it provides a visual reference of the buttons which are being programmed, making it easier to program all 17 buttons according to will. The custom commands are known as Actions, and the hardware-based actions consist of many others input and control options. It has a ultra-fast USB transfer rate giving 1ms response time that ensures that every click is on time. 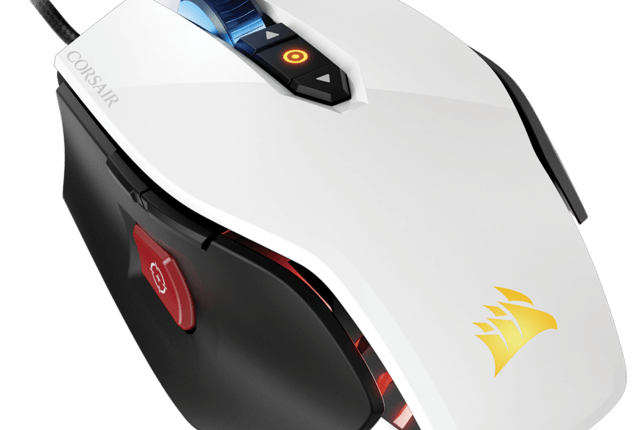 A worthy competitor of Corsair Scimitar RGB is Logitech G502 Proteus Spectrum. Both peripherals have the same DPI sensor of ultimate quality. It comes to one's preference as if one is looking for an MMO and MOBA specialist with an addition of perfectly placed and programmable macro keys the Corsair is the best for you. Let's move forward at analyzing its pros and cons in more depth. The Pix-art sensor offers splendid control over the mouse. 17 programmable buttons are a plus for FPS gamer. 4 zone RGB lighting can be easily connected with other Corsair peripherals as well. First class constructs quality and design. The mouse can be heavy for a few people. The presence of thumb buttons is not perfect for the individuals who would prefer not to use them. For a right-handed specialist who likes to have total control over every aspect of his mouse and games must surely like the G502 Proteus Spectrum. It contains 11 programmable buttons that can be altered according to one's need, weight handling and the option to change the scroll to clicky or one that spins smoothly. A camera that can be calibrated for specific gliding surface and it has RGB lighting with many customizable options to boot. 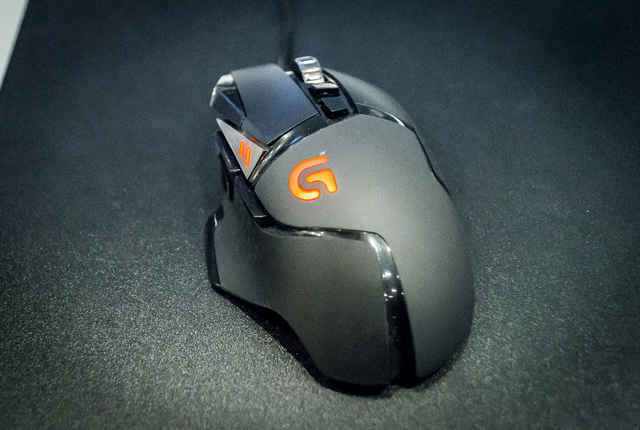 The G502 has a metal wheel which is capable of an infinite number of scrolls.It also contains a DPI switch which can make the DPI slower or faster as suitable to the gamer. One can tune its mouse for a given surface leading to significant increase in aiming and gliding. A door at the bottom of the mice can be used to add additional weights to the mouse. The surface is smooth and has the rubber textured top which can surely remain sweat free after long hour gaming sessions and also helps provide traction and comfort to the user.No doubt Logitech used its latest high-speed G Delta Zero Optical Sensor technology which is capable of giving a smooth, fast and lag free gaming experience and can be trusted in any given situation.An affordable mouse with price half that of the flagship provide a high DPI of 12,000 and excellent tracking and response. Not only gaming but the daily tasks such as highlighting and other mouse applications also improved significantly, especially if one is switching from an ordinary mouse this device surely feels like a powerhouse to one. The Pros and cons are listed below for more thorough and specific analysis of the device. The mouse provides outstanding tracking and sensitivityYou can adjust DPI from 200 to 12,000 DPIIt consists of 11 programmable buttons which will help you to customize your mouse. The mouse cannot be used from the left hand. 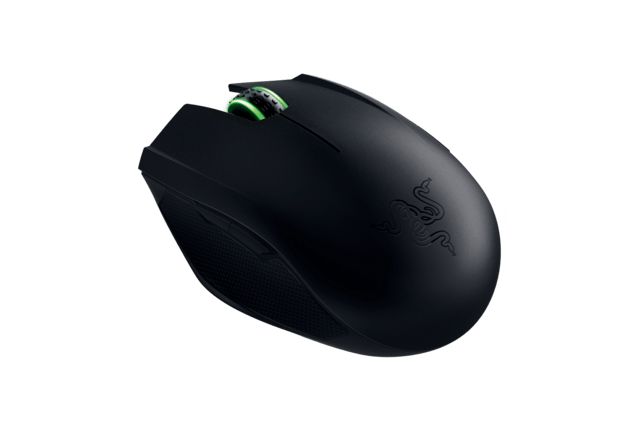 The competitor of the glorious Asus Spatha, Razer Ouroboros is quite an interesting piece of machine as unlike its competitor has an ambidextrous design suitable for both left and right-handed gamers. Razer Ourboros hasA DPI of 8,200 as it has the new generation best in class 4G laser sensor, and a specific DPI Clutch-Trigger for increasing or decreasing the DPI as per wish guarantying the exact sensitivity needed by the user. The mouse promotes a very different and contemporary design with the shape like a sports car. The mouse gives a smooth and luxurious feel in hand. The mouse also consists of an onboard 32-bit ARM processor that allows the mouse to have a super fast response rate of 1ms. Tracking capabilities range up to 200 inches per second, with a high polling rate of 1,000Hz. Razer's easy customizations and calibrations empower the user with accurate shooting and tracking.It consists of 11 programmable buttons in addition to highly precise dual sensors to keep everything top class. The Ourboros is both wired and wirelessAnd consist of single rechargeable AA sized battery which offers to provide to 12 hours of non-stop gaming is rated as 2500mAh, and without doubt like other gaming mice, we found no difference in the response rate, no matter which the mode you prefer to play in. (Wired/Wireless)The material used for the charging dock has huge similarities to the same material which is used to manufacture the mouse itself. It also features green LEDs. The two metals extrude slot into the bottom of the mouse to charge it without having to connect the USB cable. It also acts as the wireless transmitter. The button located at the front of the mouse syncs the dock with the Ouroboros. Around the other hand, it consists of a port in which USB can be plugged in. The base of the charger dock is made up of rubber-like material which can easily grip on smoother surfaces.Now that we had a good look at the mouse, let's skip ahead to the pros and cons. Amazingly adjustable; whose features ranges from buttons to palm-rest,using it with the provided wire will keep the mouse on charge. Looks super classy, and certainly is one of the designed miceLong battery life guarantees continuous gaming. it Costs a bit more amount for a gaming mouse.You may not find it very easy to use. As furious its name sound Spatha is the Asus flagship device. Asus being quite popular among the gaming community through its special ROG branded products provides a top class gaming experience to the user. The price and the weight both of this device are considered to be quite heavy. The material of choice for the Spatha was magnesium alloy, instead of traditional plastic that is being used quite for some time. With 12 programmable buttons and the Omron switches, this mouse is a top shelf, high-end gaming equipment that provides 8,200 max DPI. A special DPI clutch provides instant and smooth transitions between the standard and the extra slow speed for better aiming and precise shooting. It immediately senses that is a different device than other solutions that depart from these premises. The mouse consists of different customization options both physically and on the software. If you usually treat gaming mouse more quickly, Spatha instead gives us the opportunity to deepen with an article and to clarify certain features of specifically dedicated players interfacing systems. Of course, all this makes up the price, which makes Spatha certainly not within reach of every budget. The device which is the ultimate weapon for the right-handed gamer providing ideal experience to both palms- and claw- grippers. It can be used both ways wired or wireless with custom RGB options to satisfy every gamer's complete needs. This doesn't prove that this device is perfect sure it has huge pros, but quite a few cons also let's have a look bellow. The mouse provides outstanding tracking and sensitivityYou can adjust DPI from 200 to 12,000 DPI.It consists of 11 programmable buttons which will help you to customize your mouse. The next on the list is another specially designed mouse for MOBA players.The design of the mouse is a total banger with a specifically placed handy programmable button on the left side. The circular shape is chosen by Razer for the button placement unlike that of Corsair which sticks to a circular design.The buttons are labeled 1-7 with the design so perfect the thumb elegantly places in the middle so that the left finger has complete freedom to hit any desired key in a matter of seconds, with a key labeled 1 and two being straight along the desktop plane. A tiny hex shape thumb rest comes complementary that provides a huge amount of grip while covering the whole area and also covering the pinkie finger. Fine adjustments can be made using the wheel, which is also of great quality and has special knobs so that the grip remains as superior as ever. The clickable buttons and the palm grip use a completely different un- polished like material which one can easily distinguish from the other area as the amount of grip it provides is very minimal as compared to another area. Razer has a very odd taste regarding numbering the buttons as 1, 2; three is clockwise whereas 4,5,6,7 are placed anti-clockwise. Well, the solution to this might be ignoring the button numbers completely and just programming them according to your wish and preference.An extra set of keys can cause a huge amount of improvement regarding gameplay for the gamer making it worth a look, considering the seven button wheel fits perfectly and comfortably in hand with no troubles considering the grip. 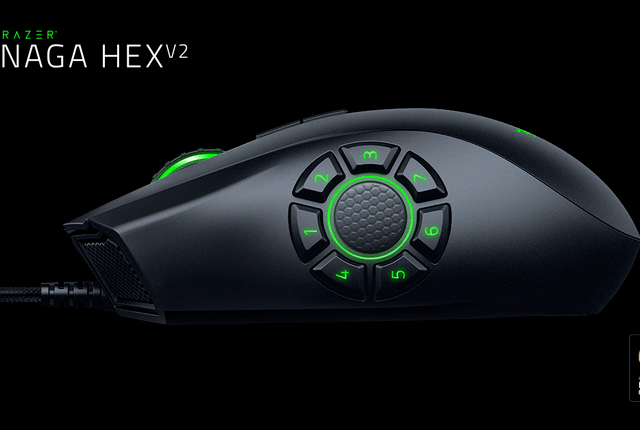 A 5th Generation sensor has been used in the Razer Nexa Hex V2, which has a polling rate of 1,000HZ and maximizes an output of around 16,000 DPI making every-day work an easy job. Huge customization options are available to change coloring in 3 different areas of the mouse with a variety of more than a thousand colors.A device that sits completely and feels great in hand with many customization options for both gamers and non-gamers make Razer Naga Hex V2 a must try. Let's see the pros and cons of this device below. The optical sensor is very sensitive, conveying a great 16,000 DPICompletely adaptable buttons. Razer Synapse 2.0 programming suite provides great customizing options. Strong development in every single part of the mouse. Logitech is a standout amongst the well-known gaming products producer in the market, which rules the market in any and each perspective.Logitech makes a standout amongst the most flexible gadgets.It makes some awesome consoles, speakers or earphones. But this is not it, Logitech is also one of the best gaming mouse and mousepads manufacturing company as well. This mouse by Logitech says it all.It can be used in any mode i.e. wired and wireless and provides a lag-free experience with no drop in response rate no matter which mode you choose and that something every gamer just loves. Like the name suggests the Spectrum, this mouse also has RGB lighting which can be controlled easily through amazing Logitech software which also allows one to set unique brightness and amazing color coordination and patterns to enhance the look of the mouse. Logitech has also provided facilities to make the mouse customizable. The side buttons of the mouse can easily detach and can be attached on any of the sides. With all this, Logitech also provides you two extra buttons. You can also attach all the four buttons to the mouse, or you can also remove all of them as per your wish. You can have a total of nine buttons.If we talk about buttons, this mouse features customizable buttons. Every single button of the mouse is activated with two pairs of buttons on both the sides. The G900 consists of total 11 customizable buttons. Although most gamers will frequently use only 9, considering that, depending on the hand you use, two side buttons will always be awkward and difficult to reach. The mouse is designed in such a way that the three primary buttons are easy to reach and gives a comfortable positionThe mouse itself weighs 107 grams and has dimensions of 13mmX67mmX40mm. These dimensions create an almost perfect size to fit neatly into The hands of most users. This creates a whopping weight difference of almost 30% as compared to previous models. The G900 feels very light, almost as if you're handling air instead of a mouse.Logitech G900 Chaos Spectrum consists of a high-class proprietary sensor that is under the denomination PMW366. The optical LED sensor provides an output of 12,000 DPI, as the sensitivity to the surface can also be adjusted from a minimum of 200DPI, Customisable cursor speed makes it perfect for both fast and slow paced games. The sensor of the G900 has the ability of zero mouse smoothing or any other type of compliments that could interfere with the mouse's precision.Logitech has managed to pull off an impressive battery which can last for 32 hours of continuous use. The mouse can also be plugged into the computer so that it does not affect your gameplay. the mouse can be easily used while charging, and eliminating the mouse's downtime entirely. And, as if that wasn't enough, the battery can be charged from 0% to 100% in just 2 hours.When coming up with the cons for this mouse, we struggled to find something that resembled a negative aspect about the G900. As it turns out, the only bad thing we can say about it is related to its price tag. Other than that, this mouse is the absolute best option available for gamers who want the very best in gaming peripherals. So let's focus on the pros listed below. The Spectrum RGB lighting looks amazing.Logitech Gaming suite is simple to utilize. The mouse consists of Adjustable and completely programmable buttons. 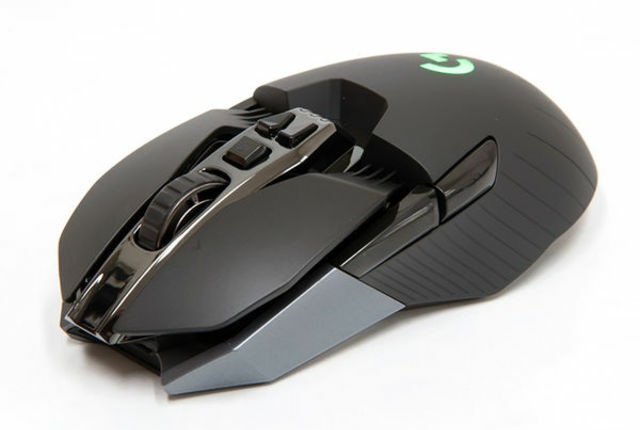 The mouse also has splendid switches and sensor which provides high-end gaming experience. A well-designed mouse which took the gaming industry by storm, and got the name of the best gaming mice in no time. The best Palm Grip Mouse available in the market.The Razer DeathAdder Chroma has come a long way from its predecessor by listening to the fans; Razer has created a beautiful and perfect gaming peripheral. RGB implementations have been the best we have seen so far, and the new Razer Synapse 2.0 even makes the customizations super easy.With a DPI of 10,000 and that to customizable makes the Razer DeathAdder Chroma more special. It is a low-frill RGB gaming mouse that is a perfect start gaming accessory. The DeathAdder Chroma provides a superior built quality and fell but surely lacks in the customization area and scores low in fields of button mapping and superior features like its competitors. 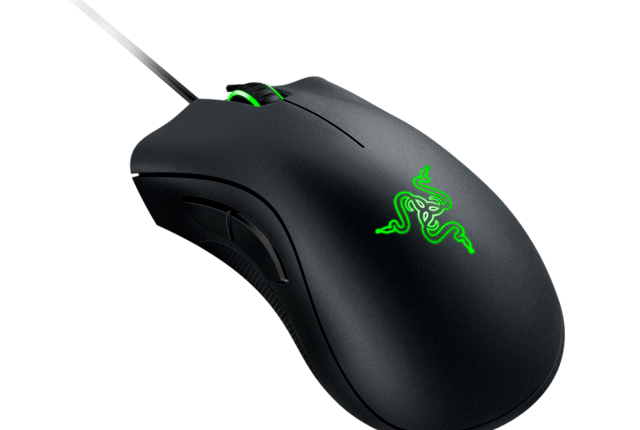 Let's dig deep into the Pros and Cons to have a better idea about the mice.The mouse consists of the program Razer's Synapse 2.0, which is one of the best customizing software available. This is the right mouse for you if you do not like those types of the mouse which are too fancy for you. The mouse has a stylish and classy look but it does not seem that fancy. Let's have a look at some pros and cons so that you can get more clear about it. 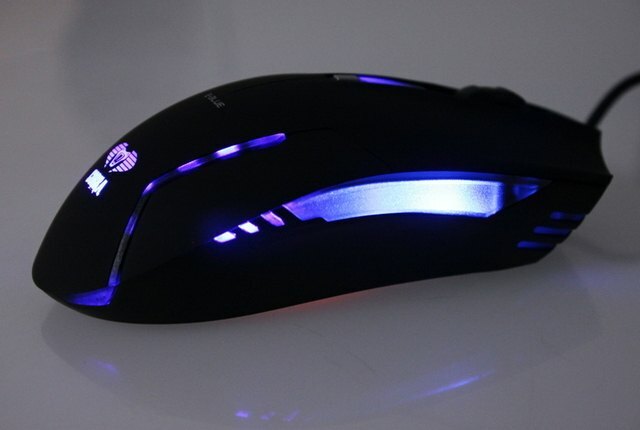 The mouse consists of Chroma lighting and effects which give an amazing look to your gaming room. It consists of Razer Synapse 2.0 which is one of the best software. The built quality is very good.The buttons can be easily customized. There is nothing new if we talk about its design. 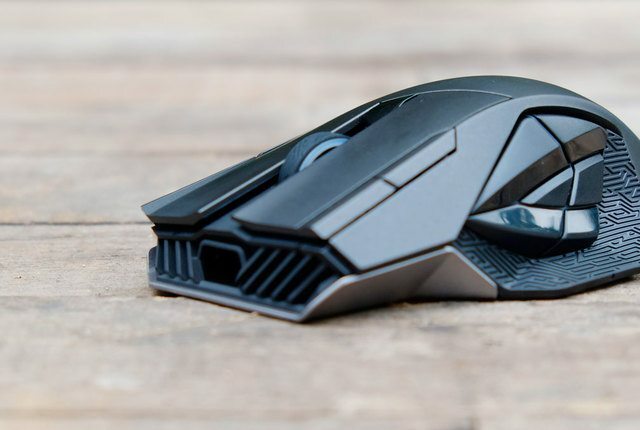 The design of this mouse is pretty unique, and this gaming mouse is one of that mouse which gives you high-end gaming experience. Razer is known for producing quality gaming products for years. This mouse is a budget-friendly production by Razer which still gives you the same professional gaming experience. The size of the Razer Orchi may seem a bit smaller and lighter too than other products, but it still manages to provide you good grip and gliding on the surface. The frame of the mouse is made up of smooth plastic and has a rubber coating on the sides. 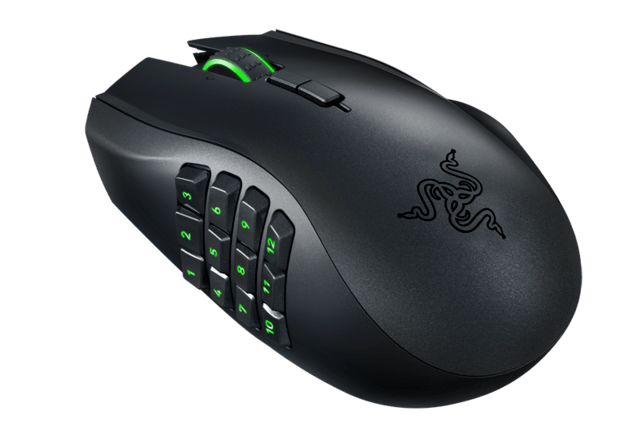 Razer offers many good features at this cost; the orchi has seven different programmable buttons. The Orchi consists a 4G laser sensor which is very impressive.The Orchi has a better DPI at this range which ranges up to 8200. The sensitivity that this mouse contains is appreciative. The 8200 DPI is enough for any high resolution screen. Another plus is that the mouse can be used both wired and wireless. The mouse consists of two batteries and can be connected via Bluetooth. It does consists of Razer's chroma lights which gives it an attractive look with 16.8 million of colors to choose from. Overall, Razer provides many impressive features in this Orchi mouse. The mouse weighs around 230 grams and has a dimension of 2.6 x 1.4 x 3.9 inches. Overall, this is a good affordable product by Razer and deserves a try. 1. The mouse provides a good tracking and gliding. 2. The design is pretty slim, and the ergonomics are impressive. 3. The Razer software allows you to do pretty much any customization with the mouse. 2. The size of the mouse may seem a bit smaller as compared to other gaming mice.
. No doubt about the ergonomics of the mouse. It gives you good controlling and gripping. Because it is designed for MMO, it consists of a total number of 19 programmable buttons which is huge. It provides you with game configurations option for MMO as well. 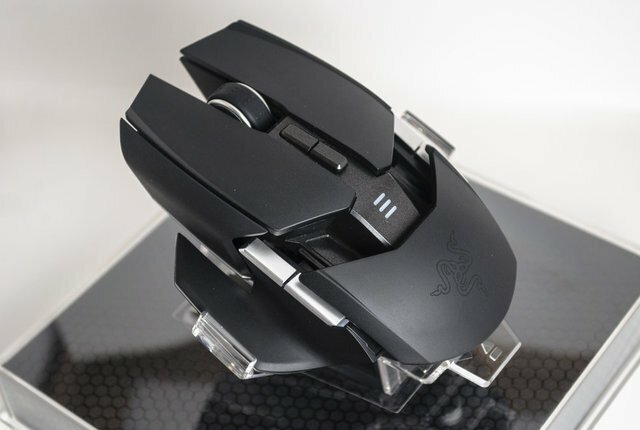 In an intense MMO situation, this mouse gives you full access to all the controls at once. This is again can be used as wired and a wireless mouse and can be connected via Bluetooth. The mouse can be easily customized according to your preferences.The mouse has a high DPI of 8200 which provides a great experience even on any high-resolution screen. The mouse also gets charged while connected with a USB cable. Razer cannot forget to add a Chroma Lighting to its products. The chroma lights provide you limitless options to customize its colors with more than 16.8 million colors. It gives the mouse an attractive look and feel. The mouse has a dimension of 1.7 x 3 x 4.7 inches and weighs around 280 grams. Overall, the mouse provides you a high-end MMO gaming experience with lots of customization available. The mouse can cost you a little bit more than an average gaming mouse, but I think it is worth buying. 1.Razer Naga can be used both as a wireless and wired mouse. 2. It gives you a high DPI option up to 8200 on any high-resolution screen. 3. Razer's Chroma lighting adds some more points to the mouse. 1. Those 19 programmable buttons are not easy to handle. You need a lot of time to get used to them. 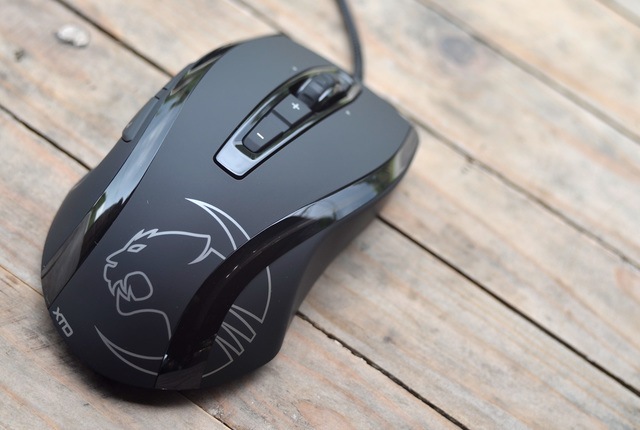 Roccat is one of the leading gaming peripherals producing companies in the market. This particular product by Roccat is ergonomically built, and the structure is divided into two parts. The top part of the mouse is designed for right-hand users. The design gives you a better wrist position and good comfort. The left side consists of two Easyshift buttons. The top part of the mouse has a LED backlit which covers the mouse from front to back. It has four controlling options and comes with color options of 16.8 million. The mouse consists of major five buttons which are right click, left click, DPI, Wheel, and one more button at the front of the wheel. Overall, the design of the mouse is pretty noticeable, and it does provide a good feel while gaming. If we talk about its technical features, the mouse consists of an Avago ADNS sensor which helps you to control the DPI ranging from 200 to 8200. It allows to set DPI up to 40 different steps. The Avago sensor has the acceleration up to 30g and can track around 150 inches per sec. Other basic software requirements are available like 32-bit capable, STM32 F1, ARM Cortex MCP. The mouse consists of two metal switches which perform tilt functions and sensory controlling of Titan wheel. Consists of enough customizing and programmable options. The design looks attractive with the LED backlit lights. Although it is a budget product, still the built quality is awesome. The mouse is designed only for right handers. Now, this is the cheapest quality product you can ever see. With a budget less than 20$, it still provides enough features. You can be assured that it is not s junk but is a good low-budget mouse. The design of the mouse is very smoky and attractive. The build quality of the mouse at this price is outstanding. The LED lights provide a good look at the mouse. The dimension of the mouse are pretty large, and the mouse is compatible for large as well as small hands. The mouse provides sturdy and comfortable feel which gliding. The mouse consists of 6 buttons which can be perfect if you are a beginner and does not want to spend much on a mouse. The scroll wheel is pretty large, the right and left click are easy to use. The DPI button also is very responsive, and it also consists of two additional programmable buttons. Overall the design and feel are impressive at this price. One of the cheapest quality product available in the market. Supported with all major versions of Windows and Mac. The microphone audio quality is very clear. You cannot expect high DPI customization at this low cost. The construction may seem a bit plastic. This is one of the cheapest mouse available in the market which gives you a feature of 50$+ gaming mouse at a price around 12-15$. This optical gaming mouse is one of the top rated gaming mice on many e-commerce websites. This is for those who do not want to spend 50-100$ on a mouse for their casual gaming. This mouse gives you some great features that you may be surprised. This mouse gives you a DPI range up to 8000 which cannot be imagined in a 15$ range. Usually, the company provides a DPI range of 2000-3000 in this budget, but this is an exception. The design of the mouse looks very smoky and classy, the unique look of the mouse is worth noticing.The mouse has seven different LED backlit options. There are total 13 kinds of light mode. The DPI can be adjusted up to six levels. The mouse has an FPS of 6666 with a 23G acceleration. The mouse has a lifetime of around 800 million clicks. It has a total number of 8 buttons which are completely customizable according to you. It consists of an optical sensor, and the mouse is supported with all the versions of window and mac as well. The design is ergonomic, and mouse is designed for hours of non-stop usage. The product has the dimension of 6.4 x 3.9 x 2 inches and weighs around 240 grams. Overall, this is one of the best gaming mice at a very low budget around 15$. 1. E-3lue T90 USB is one of the cheapest gaming mouse available on the market designed for high-end performance. 2. Has a DPI range up to 8000 which is way better than others at this price. 3. It has a total number of 8 customizable buttons, and seven different LED backlit as well. 1. The FPS and acceleration provided in this mouse could be more effective. Havit provides this MMO mouse at one of the most affordable rates for such mouse which provides high-end gaming experience. This is one of the best-selling mice and is not available in stock most of the time. This is one of the most sensitive mice available at this rate. The mouse provides you a DPI of 12000 which is excellent and provides outstanding experience on any high resolution. The DPI can be set up to 7 levels. The design of the mouse looks very impressive, and overall it is very attractive and easy to handle as well. The ergonomic features of the mouse are very good, and mouse provides a good and comfortable grip. The mouse provides some features at this low cost.The mouse gives you a 50G acceleration which is around 20G more than many other gaming mice. It gives you a total number of 19 programmable buttons which can be completely customized. Those 19 buttons cannot be seen in most of the mice. The mouse provides you more than 16 million color options as well. The only problem is that the mouse is not ergonomically designed for the left-handers. You may face some problems using it if you are a left-hander. The mouse uses an optical sensor which provides pretty good tracking. The mouse is supported on most of the versions of Windows and Mac. The dimension of the mouse is 5.1 x 1.7 x 2.9 inches and the weight is as low as 90 grams only. Overall, this is an excellent budget mouse with surprising features. 1. One of the best budget mouse with many unique features. 2. Gives you a premium look with LED lights and it is ergonomically built. 3. Provides you an acceleration of 50G and an IPS of 250. 1. May not be comfortable for left-handers. 2. It will take a huge time to get used to those 19 buttons. A device built for gamers, and by gamers. This next century looking mouse some might even call from the future might just consider it to be an alternative for keyboard also. The 18 programmable buttons with five memory profiles provide a huge level of customization that no other mice provide.The mouse has around 16 million LED color options with a set of 8-piece weight as well, TEFLON feet pads are used to provide the complete contoured gaming control, the mouse also has a gold-plated USB fiber cable which gives it best durability and accuracy.Redragon M901 Perdition has a unique lighting system which is called "breathing light." The back of the mouse consists a blinking dragon symbol which keeps blinking for long periods. Light strength is increasing and decreasing all the time making a wavy light effect. It is how it designed, so don't think of it as a malfunction when you see it. 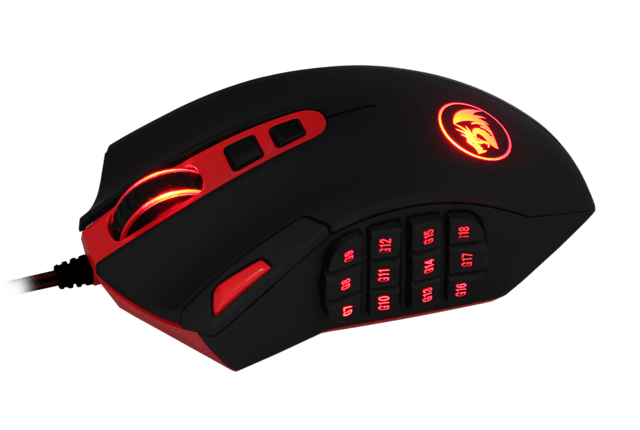 Redragon Perdition has DPI range of 16,400 max and a polling rate of 1000Hz with 30g acceleration rating. M901 has dimensions of 4.7 x 3 x 1.5 inches and weighs mere 141.75 grams. Reddragon Prediction is a complete package regarding MMO games like Worlds of Warcraft.These games contain a huge amount of spells, magic, portions, etc. which all have a different set of buttons to activate the and thus to reduce this hassle MMO mice were created so that the gamer can have special pre-programmed buttons to maximize the output and ultimate comfort. A keyboard of the similar color scheme can be a perfect partner to this monster of a mouse; It is a plug-and-play device with no need to download or install any additional software or drivers, saving time and other driver related problems that come with other mice.The Redragon M901 Perdition is a complete package with built to last material and manufacturing. Heavy duty, sturdy rubberized body provide high performance and efficient, accurate control over the game, making every genre gaming an easy task as the performance is very enjoyable and smooth.One thing worth applaud in this mouse is its weight-tuning capabilities and top of the line switches. The option to tweak mouse's weight is a handy feature which provides a tighter or more relaxed smoother glide. The PERDITION has a total of 40 million clicks on both buttons and comes in a matte black or shiny white edition. Overall it is a strong and durable mouse that is little heavy, and we cannot consider it the best gaming mice on the market, but still with some added benefit of a low price tag that makes it affordable for professional gamers and beginners as well. Let's analyze the pros and cons of The Redragon M901 Perdition. High DPI values, up to 16400 DPILots of programmable buttons, 18 buttons in total. Only the right scroll click button can't be changed. weight Solid build stays well in the hand. The LED lights makes it a nice looking mouse. The side buttons are quiet (no click sound) not a big deal but may bother some users. This Sensei Raw mouse is the similar version of older Sensei. The design is simple and straight which still looks cool. It just has some other additional features than the previous versions. The mouse is available in two different versions with a rubber shell on the one and a plastic shell on the another for palm rest. 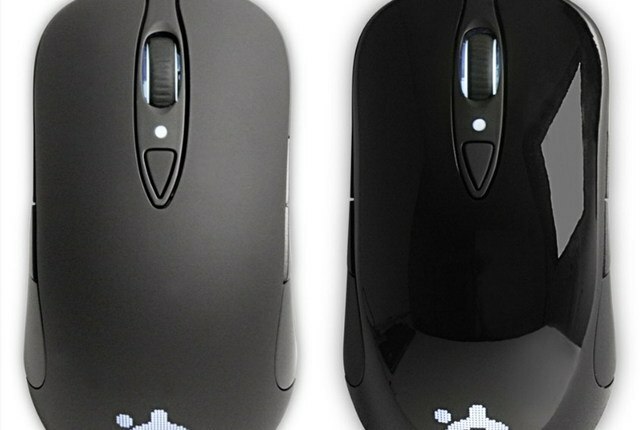 The mouse comes in two editions which are a basic black model and the frost blue model. It consists of 8 buttons, a 32bit ARM processor so that you can adjust its sensitivity. The mouse also consists of 16.8 million different color options. The illumination can be adjusted up to four different levels of intensity. The DPI can be extended up to 5700. The mouse comes along with a 6-foot cable which is large enough to be plugged. The mouse consists of an impressive laser sensor which gives you an FPS of 12000 and an IPS of 150 with 30G acceleration. The plus of the mouse is that the mouse can be used by left-handers as well. The frame of the mouse consists of a soft rubber coating which makes your hand feel comfortable. The wire cable of the mouse is made up of double braided nylon which makes it durable. And you can easily change DPI on the fly as well. The mouse has a low weight of 90 grams only which makes it easy to glide. 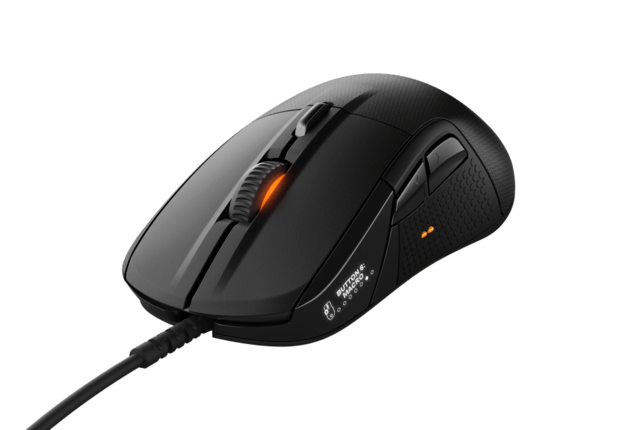 The SteelSeries software allows you to program butting, macros, and other functions easily.This mouse is also an affordable one, under a 50 bucks budget you can get all this power packed performance at such a low cost. Has a DPI of more than 5000 under a 50$ budget. 2. Comes in different versions so that you can choose according to your need. 2. The finish may seem pretty awkward and uncomfortable. A lethal weapon created especially for the right handed gamers is a claw- grip mouse especially created for the FPS games. The accuracy and comfortless of this mouse are off the charts. A special Sniper button is also added which reduces the DPI by significant amount helping the gamer take a precise headshot and then run in the game again. This is one of the best designs i have ever seen. Everything in this mouse including its color combination is also amazing. The mouse consists of a total number of eight programmable buttons along with the other four basic buttons. It is also available in white.The mouse does come with customizable RGB lighting that can we be conveniently controlled through Corsair's customization software.No matter with its added features for FPS gamers the M65 Pro is without a doubt a total mean machine for any genre gaming. The design and build of the mouse are awesome.The mouse comes with an affordable price tag.The weight of its system can easily be adjusted. Palm Grip It is one of the most popular and used grips in the world not just for gaming but also for general usage. This grip promotes a normal and relaxed way of using the mice as the base of the palm is relaxed on top of the mouse, and the fingers lay flat for the use of the buttons. The palm grip provides an accurate gliding control over movement, but as the whole finger is used to press the button, it can be a split second slower compromising agility. It can be used for a long duration as the hand feels no fatigue. Claw Grip A less popular style, compared to the palm due to its rather difficult stance.The grip remains in a curved stance with the fingers in contact with the buttons and the palm in a curved stance, provide six points of contact resulting in great reaction time while also increasing the speed due to a lighter touch. Fingertip Grip The most challenging and fatiguing grip, the fingertip grip provide the most precise and fast gaming experience. It is similar to the claw grip, but the only point of contact on the mouse are the finger. Hence the dead weight is absolutely zero but as the palm doesn't touch the mouse the tension and work of the fingers are increased. The movements and precision handling both are done with the help of fingertips.Now, as you know the gripping styles it is upon you to select what grip works for you the most and hence selecting a mouse accordingly will surely help you, so let's check out the list below of the best mice currently available in the market right now. Selecting a best gaming mouse is not an easy task. With dozens of different features available and a bunch of thing to look at, it is quite difficult to select a perfect gaming mouse. We've given you a choice of different 20 mice which are best in some or the other functions. But a gaming mouse should be selected according to your requirements. Before selecting a mouse, these are the few things that you must understand and then pick the best suited mouse for your gaming PC.Different mouse for Different Games!We cannot consider a mouse to be compatible with each and every game. A mouse is designed to excel and perform in one field or two. Every single game requires different handling and controlling so we can say that you must look for the mouse which works best for the games you play. Basically mice are designed for three types of gaming. There may be mice which can work good with 2 of these categories but it is difficult to find a multi-support mouse. 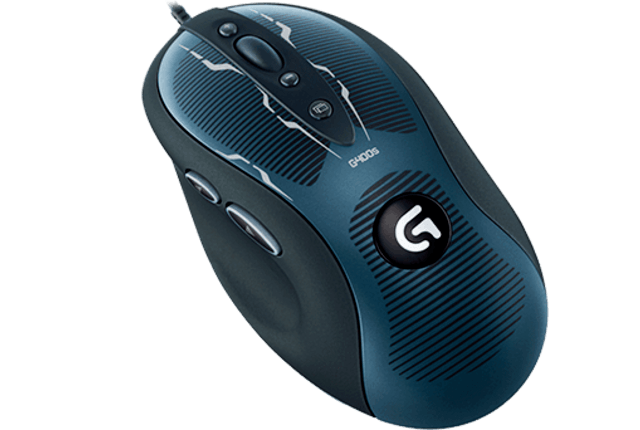 Mouse like Logitech G502 has the capability to provide good performance in every type of games but basically it is best for MMO.What makes a perfect mouse? Mouse is definitely one of the most important part a your PC. Many may think that most of the mouse are similar and it's very easy to select one from them. Mouse acceleration is generally the change in speed at which the cursor moves when you move your mouse quickly. The mouse acceleration is generally measured in Games. It helps to accelerate the sensitivity of the mouse depending upon how quick you move mouse. It can be useful for the low sensitive gamers. Few years back, there were different types of mouse like trackball mouse or ball mouse.But now there are basically two types of mouse sensors available. Those are optical and laser sensors. Optical sensors work well with rough surface mouse pads while laser sensors are flexible in reflective surface pads. The laser sensors tend to provide better sensitivity if we compare both of them. This is one of the most important thing which is not easily available in a cheap or a low quality mouse. The sensitivity is measured in Dots per inch or Characters per inch. It has a huge range, starting from less than 1000 to around 16000. Sensitivity is the speed at which the mouse cursor can move. There is huge variety which cost very high but you can find some low budget mice with satisfying DPI in the list. This is one of the most impressive and latest update in the history of gaming mouse which enhance your experience and involvement in a game. Gaming mouse comes with a number of adjustable buttons which can be assigned specific tasks and makes it easy to perform the moves more faster. A profile in necessary when you buy a mouse with programmable buttons. Because storing the actions or assigning the tasks to the buttons is not possible without having a profile. There are many other things that you can set up with a profile. Polling rate is a term that gives you the rate of transfer of data from the mouse to the PC. Polling rate can be around 250-1000Hz for different mice. The data from the mouse is transferred through the sensor and then processed to generate and display the results on the computer screen. This is also one of the most important and basic thing which a gamer looks while buying a gaming mouse. A gaming mouse should not be very heavy which is not very easy to control. You should look for a mouse with weight adjustment facility which is a great feature in most of the modern gaming mice. These are the points that you should check before you go for any of the mouse in the list. There may be mouse which does not consists all the features, but you should choose them as per your requirements and need. So these were some of the best selling and top rated gaming mice. Now, it's up to you and your setup that which one will be best you and which will also fit your budget.